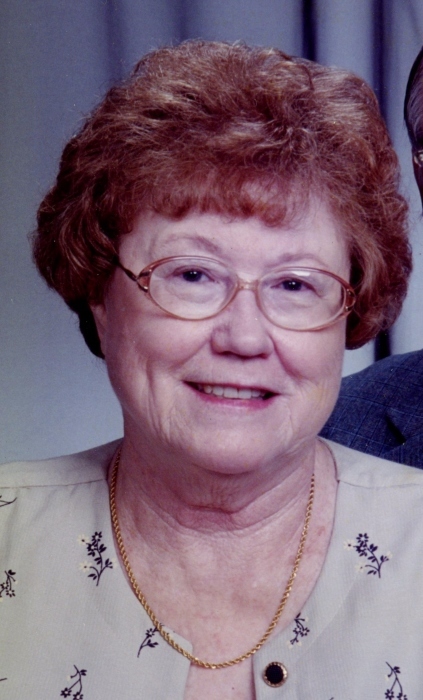 Patricia A. Harvey, 86 of Princeton, passed away March 26, 2019 at the Linda E. White Hospice House in Evansville, IN. Patricia was born September 7, 1932 in Gibson County to the late Rocie and Florence (McRoberts) Walker. She was a graduate of Mt. Olympus High School and Deaconess School of Nursing. She was a homemaker and a former registered nurse and a member of the Union Bethel Presbyterian Church, and also was a member of the Alumni Assoc. of Deaconess School of Nursing. She enjoyed being outdoors, herb gardening, sewing and her grand puppies. Patricia was preceded in death by her parents; her husband of 65 years, Bobbie S. Harvey on September 14, 2018; a granddaughter, Dana Marie Harvey: and a brother, Robert Walker. She is survived by her children, Jeffrey Harvey (Wanda) of Patoka and Carol Cox (close friend, Ray Cox) of Evansville; 2 grandchildren, Timothy and Kevin Harvey; and a sister, Dorothy Shoultz of Patoka. Funeral service will be held at 2 p.m. Friday, March 29, 2019 at Colvin Funeral Home in Princeton. Burial will be at Shiloh Cemetery near Hazleton, IN. Visitation will be from 10 a.m. until 2 p.m. Friday at the funeral home. Colvin Funeral Home is honored to serve the Harvey family. Memorial contributions may be made to Gibson County Animal Services, P.O. Box 474, Princeton, IN 47670. Envelopes will also be available at Colvin's. You may leave a message of sympathy or light a candle in memory of Patricia at www.colvinfuneralhome.com.